Corporate communications for the modern enterprise. Build your brand and your business through video. Companies around the world are transforming the way they do business, using the power of video to engage their customers, employees, partners, and shareholders. 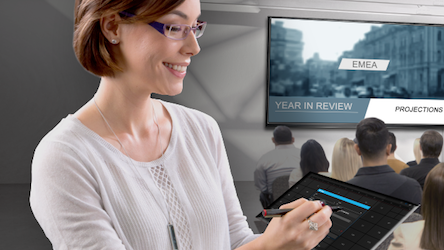 Whether you own a small business, run an ambitious startup, or manage a multinational corporation, NewTek’s software-driven video solutions can help you take control of your message, make your communications more effective, and boost your bottom line. Tell your story your way. Create the content you envision, manage your message, market your products and services, and save money by bringing production and delivery in-house. Connect with employees, anywhere. Live stream meetings, conduct real-time presentations, and implement on-demand training to increase engagement while conserving valuable resources. Establish culture and build community. Capture the attention of potential clients, job candidates, and the public with compelling video communications that speak to your corporate environment. Achieve remarkable reach. Take your video marketing to a whole new level with the capability to produce for any platform, from social media to corporate channels. Real-world results of real-time video. 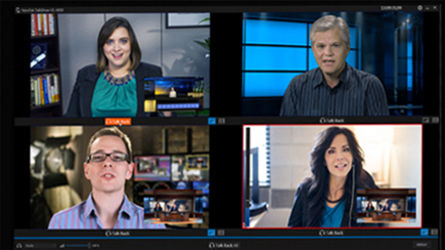 NewTek solutions are the choice of businesses and organizations worldwide. See how EMC’s small crew delivers huge results with in-house production. Take your communications—and your business—further. Capture full HD video from virtually anywhere, while avoiding extra cabling and clutter. 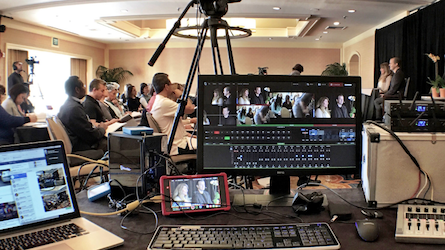 With the NewTek NDI® PTZ Camera, video, audio, tally, control—and even power—all travels over a single Ethernet cable. 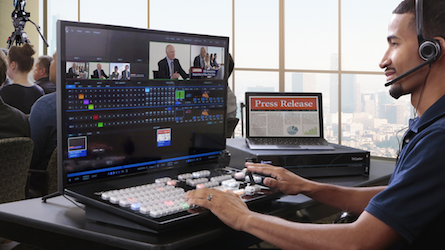 Increase traffic and engagement, while saving the time, effort, and expense of outsourcing production, powering your video communications with the most complete, all-in-one video production system in the world. Get product launches, company announcements, corporate keynotes, and more in front of key stakeholders as they happen—streaming live to your house network, social media, and even directly to your remote offices. Make it easy for anyone from a new hire to an extra set of hands to step into your office and help run the show, turning any everyday device with a Web browser into a professional video system control panel. Work around scheduling conflicts and eliminate the expense of flying in frequent travelers, allowing key staffers to join in on important meetings and presentations from where they are with broadcast-quality Skype® video calling. Take advantage of your office network, while getting more out of your existing gear. 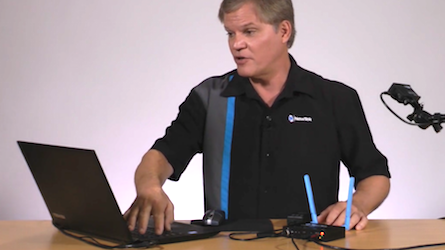 Requiring only WiFi and a video cable, NewTek Connect Spark™ is the fastest, easiest way to capture video anywhere in your building and beyond.